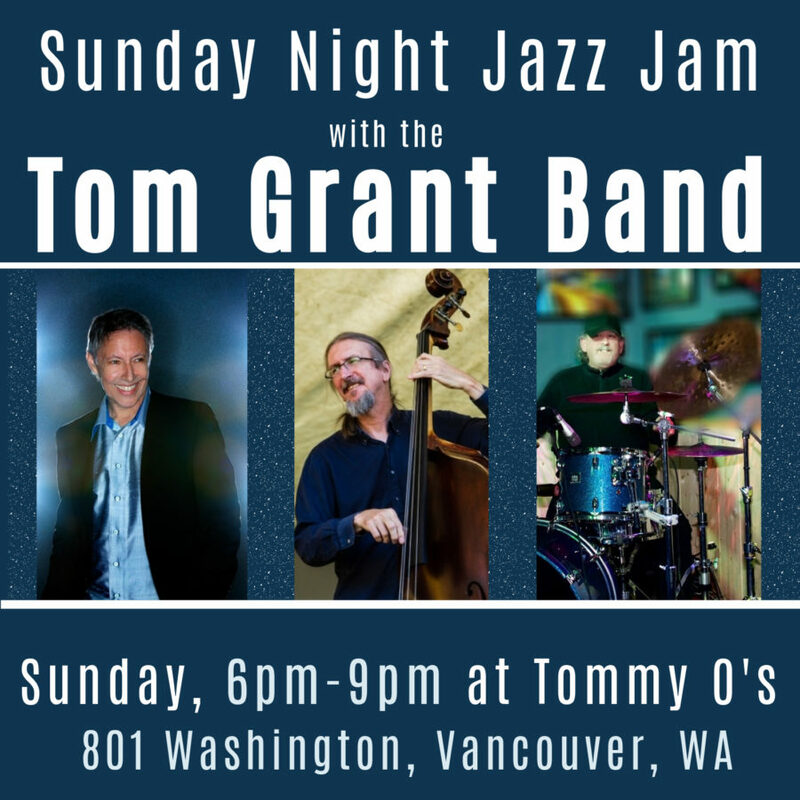 Tommy O’s, 801 Washington St.
Head to Tommy O's, home of Vancouver's favorite Sunday Night Jazz Jam with the Tom Grant Band. 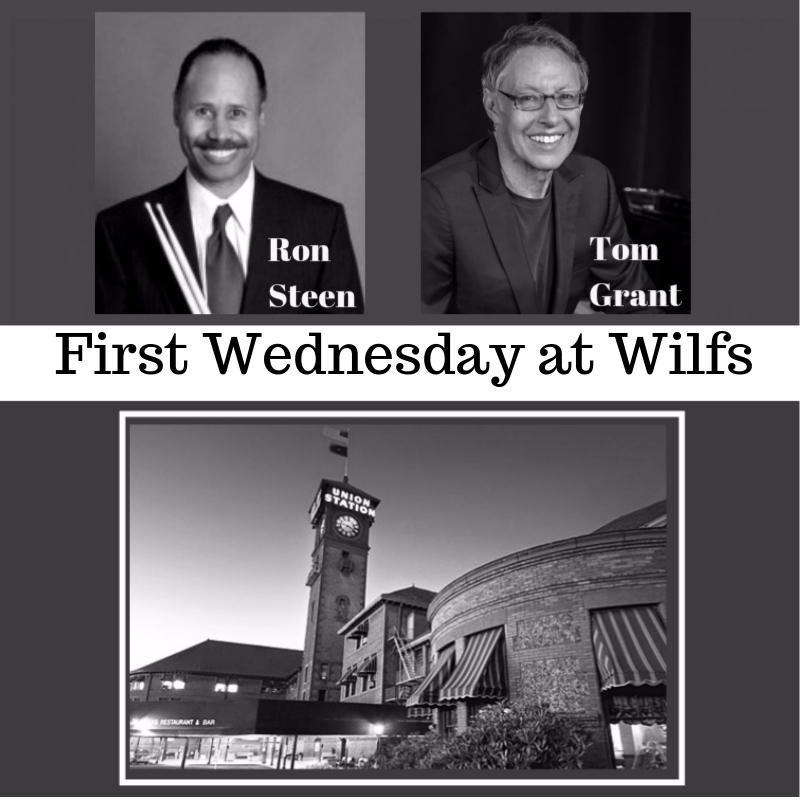 Catch special musical guests each week, and enjoy fabulous food and drink. 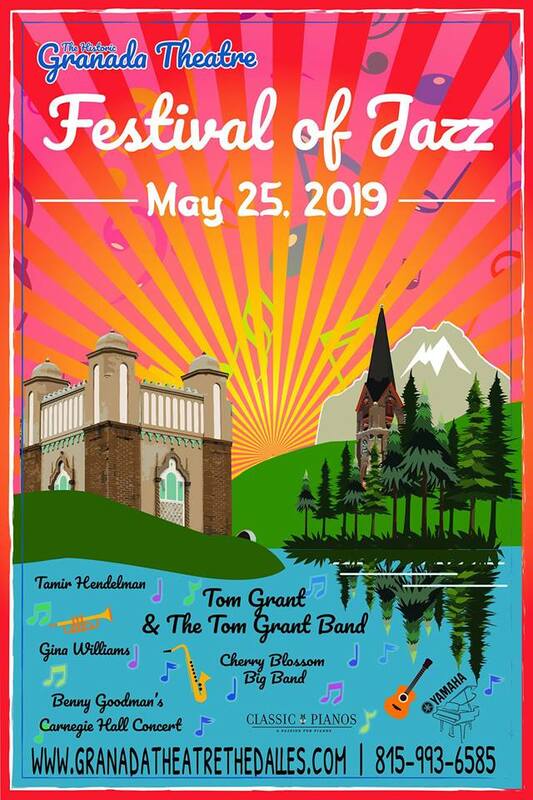 The music starts at 6:00 in the lounge, 801 Washington St., Vancouver. 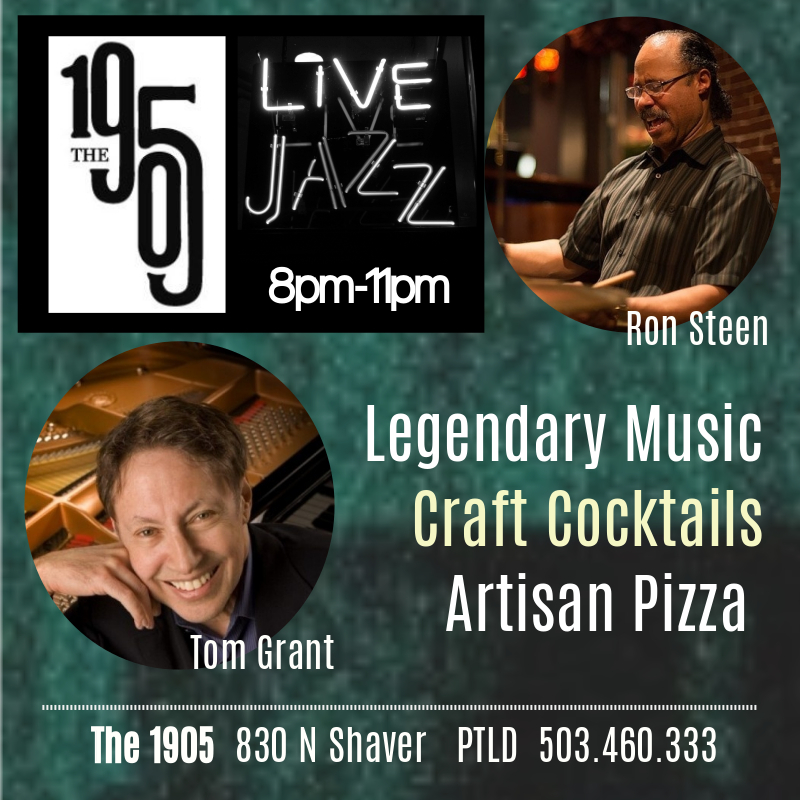 Call (360) 694-5107 for reservations or more info. 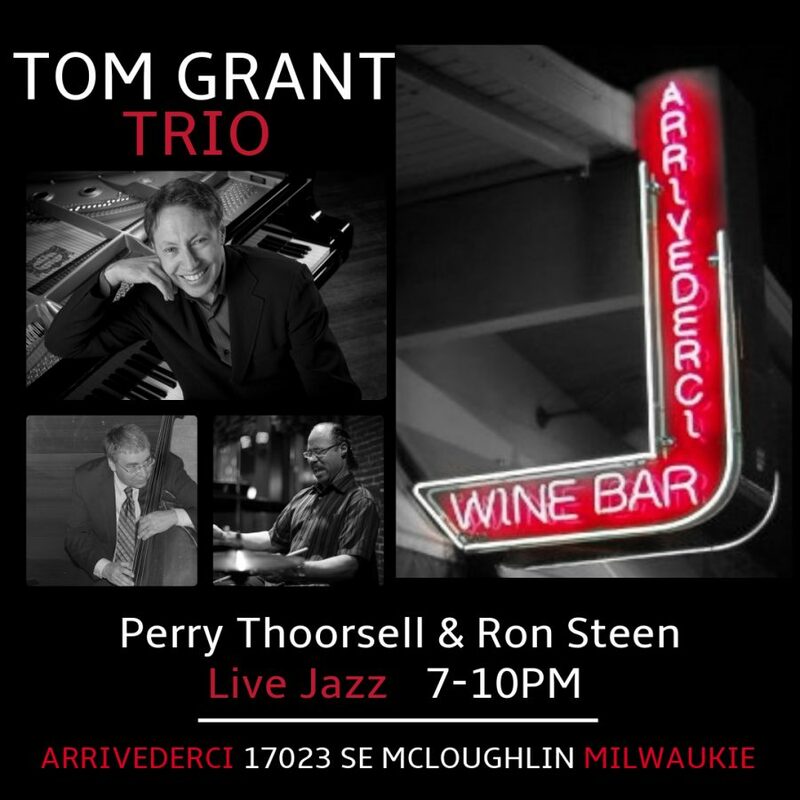 Arrivederci Wine Bar, 17023 SE McLoughlin Blvd. 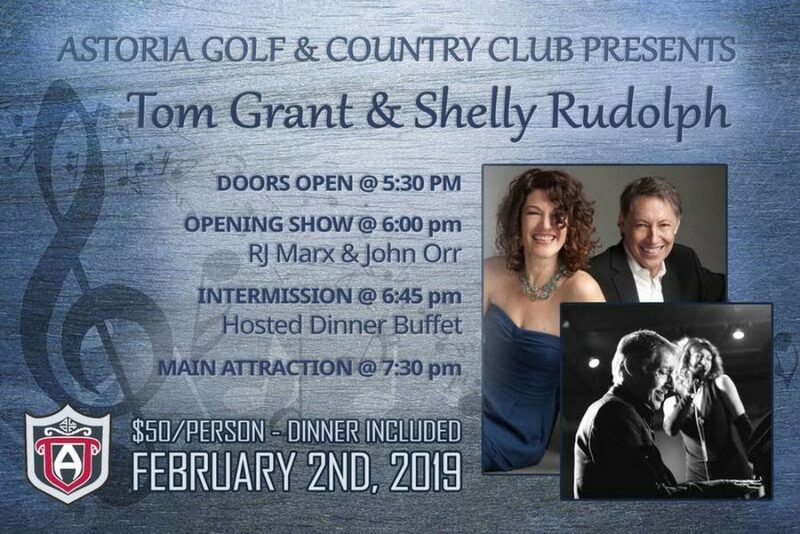 Join us on Feb 2 at the Astoria Country Club in Warrenton. RJ Marx and John Orr will kick off the night at 6 PM. 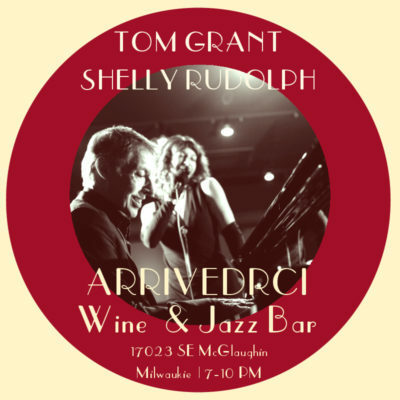 After a lovely dinner buffet, Tom and Shelly will take the stage for an evening of musical joy! TICKETS online at Brown Paper Tickets (CLICK HERE).